"I pray that the late president's example will inspire generations of South Africans to put justice and the common good at the forefront of their political aspirations." -- Pope Francis I, who went on to praise "the steadfast commitment shown byNelson Mandela in promoting the human dignity of all the nation's citizens and in forging a new South Africa built on the firm foundations of non-violence, reconciliation and truth." "It's extremely sad and tragic news. 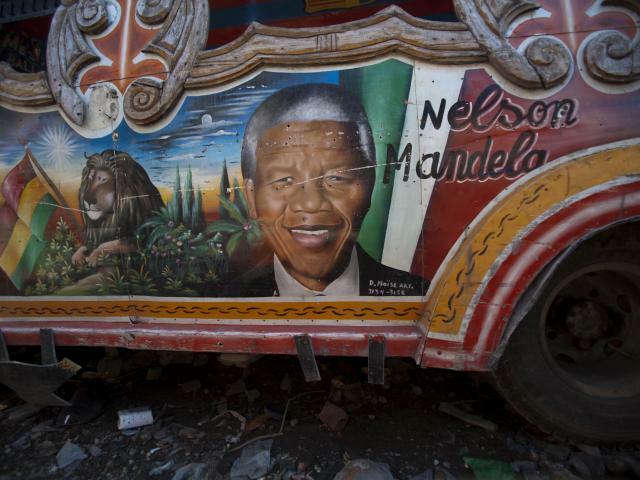 We were just reminded what an extraordinary and inspiring man Nelson Mandela was." -- Britain's Prince William, who learned the news when he and the Duchess of Cambridge emerged from the U.K. premiere of "Mandela: Long Walk to Freedom"
"History offers few examples of people who were as devoted or sacrificed more for a cause greater than their self-interest than Nelson Mandela. Of all his many exceptional qualities, though, the one that has always impressed me the most is his capacity for forgiveness. Imprisoned unjustly for 27 years, he bore no hate for those who took his freedom from him, who denied his dignity." -- U.S. Sen. John McCain, R-Ariz.
"As both the emancipator of a people and the founder of a modern democracy, Mandela was one of the truly unique and transcendent figures of our time." -- U.S. Senate Majority Leader Harry Reid, D-Nev.